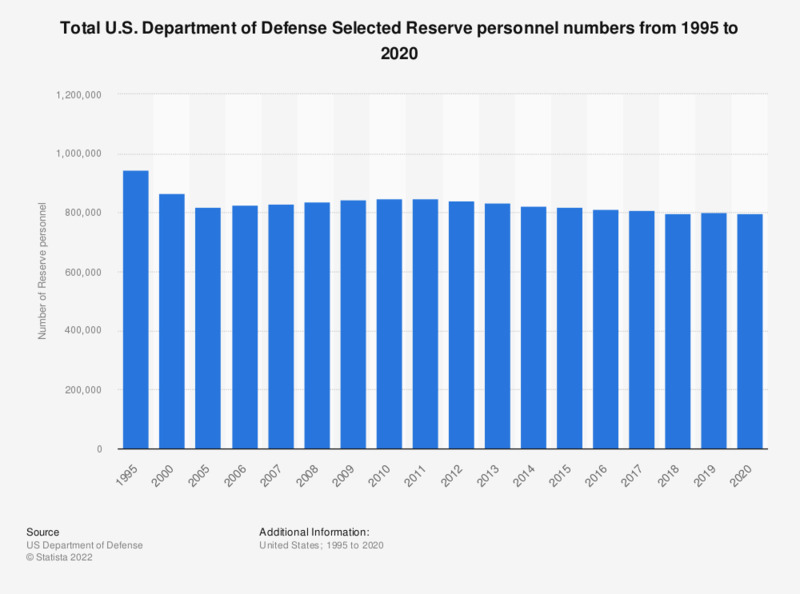 This graph shows the total number of U.S. Department of Defense Reserve personnel from 1995 to 2017. In 2017, there were a total of 808,895 U.S. Department of Defense Reserve members. Department of Defense Reserve components include: Army National Guard, Army Reserve, Navy Reserve, Marine Corps Reserve, Air National Guard, and Air Force Reserve.